On May 23, 2017 the Company reported that a third party settlement agreement had been reached in the civil claim in the Vancouver Registry of the Supreme Court of British Columbia naming THCD and other related parties as defendants in an effort to recoup funds and damages suffered by Matica. The third party was Cultivator Catalyst Corp. (“CCC”) and they have reached an Letter of Intent agreement (“LOI) with Orca Touchscreen Technologies Ltd. (“Orca”) a CSE publicly list company (CSE:OAA, FSE:6OT, OTC-Pink:ORTFF). Please follow the link LOI with CCC to view the Orca news release. As terms of the above mentioned LOI indicate, CCC shareholders (including Matica) will exchange their shares for the publicly traded shares of Orca at a ratio to be determined. Management is very pleased with this development as it provides a satisfactory conclusion to the Nova Scotia project. 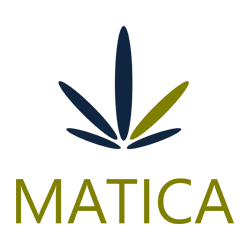 To view more information on Matica Enterprises please visit the website at: www.maticaenterprises.com.